Do we cater for the metal head ? Yes ! We offer our repair services and custom-design/custom-build services to every type of musician who is reliant on musical-instrument amplification, and in particular amplification that is based on vacuum-tube (thermionic-valve) technology. As it happens, there is also a breed of amplifiers out there, marketed at the heavy-metal guitarist, that is primarily solid-state in design. We will also service many of these products. Check with us first, if in doubt. 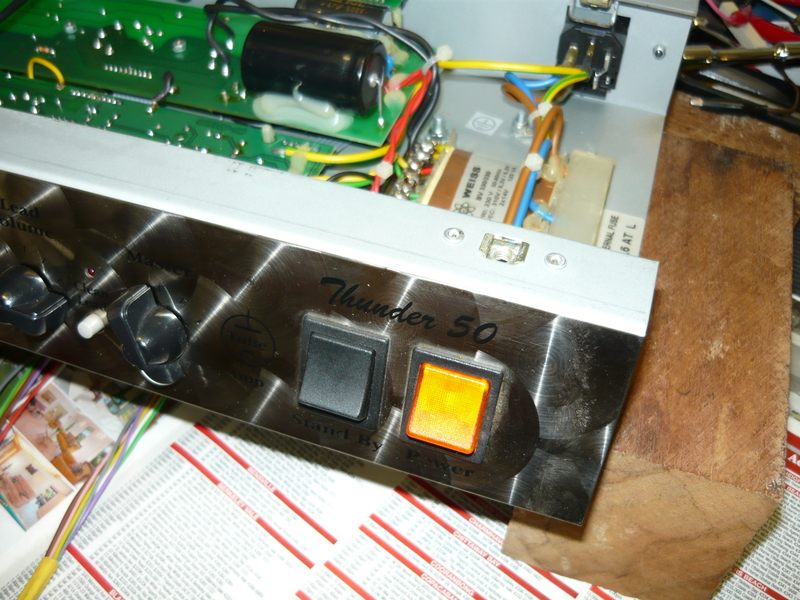 As you can see from the photos, the inspiration for today’s blog is a recent repair to an Engl 50 watt (all-valve) head. My general impression of the Engl amps is that the standard of construction is a bit cheap and there have been some reliability issues along the way. This is all the more surprising considering they are designed and manufactured in Germany. Every Engl repair we get seems to require a mod to the power supply and/or the bias supply, in the latter case this is because usually you can’t get a wide enough range of adjustment to bias up an amp with new output valves properly (normally Engl’s are loaded with 6L6GC valves, or equivalent). I have found the JJ 6L6GC to be the ideal replacement output valve for these amps. If you have more money to spend, a great sounding alternative is the Winged-C 6L6GC (formerly SED), from St Petersburg, Russia. The single biggest problem impacting on long-term reliability is the fact that the power output valves are printed circuit board mounted. Given that the Engl chassis is top-mounted in the cab, and the power output valves hang down from the chassis, then the heat from the valves naturally goes up into the chassis, and in particular into the printed circuit board. The output valve board can get so hot that critical components actually desolder themselves ! 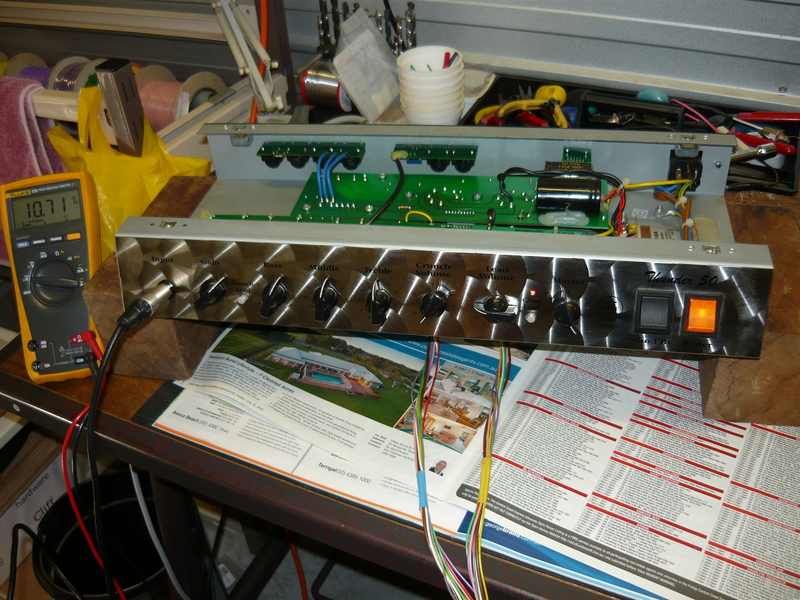 This was a common fault when these amps were first introduced into Australia a few years back – the screen grid resistors would desolder themselves, possibly even falling off the board, and the affected valves would stop working. 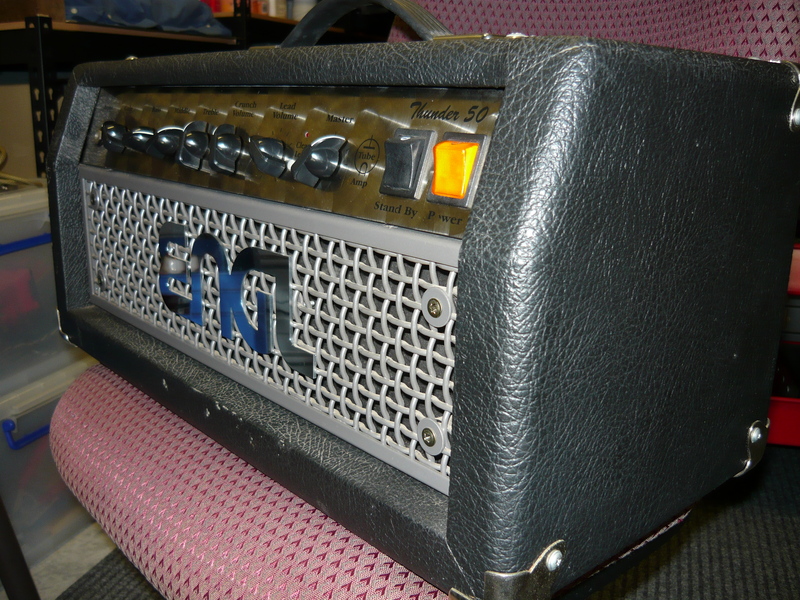 The good news is we can do our best to bullet-proof your amp to improve reliability. Some other brands of amps that we have serviced that are appropriate to this genre of music woud include (in no particular order):- MESA, Blackstar, Laney, Hughes & Kettner, Randall, Crate Blue Voodoo (serious reliability issues), Bugera (serious reliability issues), Egnater (serious reliability issues), Cornford, Marshall JCM800, JCM900, JCM2000 (some models of JCM2000 reliability issues), and also the JCM600 (serious reliability issues). There are others, this list was just off the top of my head. 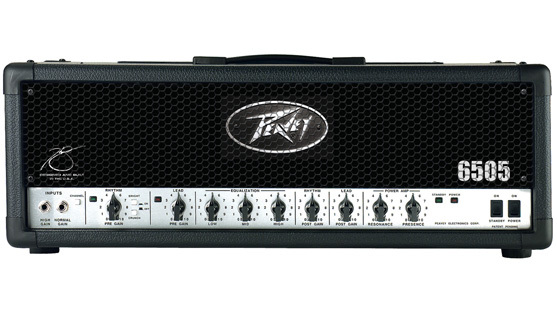 No discussion of amps for the metal player would be complete without the mention of the Peavey EVH120, known variously as the 5150, 5150 II, 6505, 6505+ amps. The 5150 II model seems to have got the thumbs up from any of my customers that own this amp. In response to customer demand, from young metal bands recording their own material and wanting to achieve the best recorded performance from these amps, we have been offering a range of mods and upgrades to these models. Any upgrade would obviously include valves (tubes). There is such an excess of gain in these amps that valve (tube) microphony becomes a major issue. Therefore we have put the replacement 12AX7 valves through our own selection test. On the short list of valves are the JJ 12AX7 and 6L6GC, also the Winged-C 6L6GC, the Tung Sol reissue 12AX7, and we are about to trial a new 12AX7 valve (tube) released by TAD, specifically intended for such demanding applications. Other requested upgrades include power supply capacitors, bias circuit modification for greater range of bias adjustment, and the installation of a Mercury Magnetics MC10 power choke in the power supply, in lieu of the standard resistor. One last upgrade for those of you resident in the land of Australia who have purchased their amp via the internet – we can install the factory supplied 240V AC mains transformer, so you don’t have to lug around that heavy and inconvenient step-down transformer. That’s it for tonight’s blog – please feel free to submit suggestions re other amps that you feel should have been mentioned, and/or contact us re your specific amp problemos. Perhaps we can make a big difference. By the way, for those of you who are into 70’s and 80’s metal, we do build amps to special order which are inspired by the great Marshall JMP amps of the mid 1970’s. We can nail that sound plus no more reliability issues. 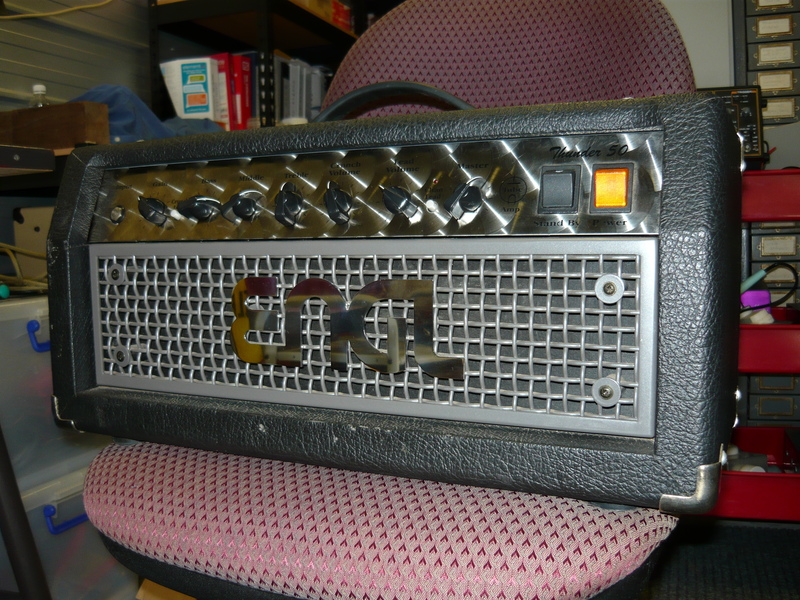 This entry was posted on September 11, 2011 at 11:23 am and is filed under Amp Repair, Amps, Discussion. You can follow any responses to this entry through the RSS 2.0 feed. You can leave a response, or trackback from your own site.